When moving products down a manufacturing line, there are places that can backup and cause the entire line to slow or shut down. To solve this problem recirculating conveyors can be installed on those sections of the line. This can help protect products from damage and reduce jams. These systems can be in a variety of configurations to suit multiple different applications. Recirculating systems can run unattended and don’t require electronic controls. They allow companies to keep pace with production lines by allowing product to build up in an accumulation area, maintain a steady product flow and not cause backups or jams further down the line. Systems can be designed to move the built up products down to a singular line or accumulate products until they can be handled by employees. Recirculating conveyors also work well for delicate products because they minimize back pressure on the conveyor and thus reduce product loss/damaged products. Recirculating conveyors can be built as stand-alone systems which allows them to be moved up or down the line or even to another line altogether. Recirculating conveyors can be used in applications ranging from industrial environments to highly sanitary food environments. All of these things make recirculating conveyors a great option for applications where there is a buildup of products. Recirculating conveyors provide a solution to manufactures problems and allow production lines to keep up with machine outputs. 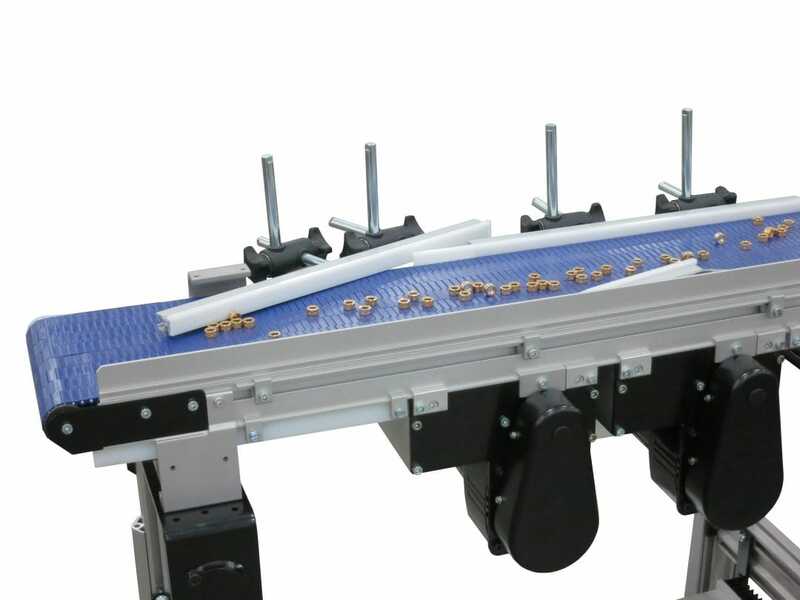 Learn more about recirculating conveyors.